The Australian sharemarket is set to open lower after underwhelming bank earnings curbed investor enthusiasm on Wall Street. The SPI200 futures contract was down 18 points, or 0.29 per cent, at 6,222.0 at 7am Sydney time, suggesting a dip at the open for the benchmark S&P/ASX200 on Tuesday. The Australian sharemarket started the week flat, with volumes light as many traders took the week off as the Easter school holidays commenced nationwide. The benchmark S&P/ASX200 index closed up a tenth of a point, to 6,251.4 points on Monday, while the broader All Ordinaries gained 0.9 points, or 0.01 per cent, to 6,347.9. Wall Street lost ground overnight, dragged down by the likes of Goldman Sachs and Citigroup as disappointing bank earnings sapped financial stocks. Meanwhile, local economists expect the Reserve Bank of Australia's dovish sentiment to be reinforced when it releases its April meeting minutes today. The Aussie dollar is buying 71.73 US cents from 71.69 US cents on Monday. Locally, the RBA is due to release its April minutes today, with analysts expecting a rate cut in the coming months. Chinese equities ended lower on Monday due to worries about slowing local and global economic growth, shedding earlier gains on the back of stronger bank lending and optimism in US-China trade talks. At close, the Shanghai Composite index was down 0.3 per cent at 3,177.79 points. The blue-chip CSI300 index was also down 0.3 per cent. CSI300’s financial sector sub-index was flat, the consumer staples sector down 0.5 per cent, and real estate shares lost 0.9 per cent. In Hong Kong, the Hang Seng index was down 0.3 per cent at 29,810.72 points. The Hang Seng China Enterprises index fell 0.2 per cent. European shares ended higher on Monday with telecom and retail stocks leading gains as Sino-US trade optimism and strong Chinese economic data eased some worries over global growth - though lacklustre earnings from big US banks weighed. Markets cheered the progress in trade talks after US Treasury Secretary Steven Mnuchin said on Saturday he hoped that the US and China were close to the final round of negotiations. Reuters reported that US negotiators had tempered demands that China curb industrial subsidies as a condition for a deal after strong resistance from Beijing. Bank stocks, which led gains earlier in the day on last week’s earnings beat from JP Morgan, slipped after lacklustre results from Goldman Sachs and Citigroup. Shares in Danish healthcare company Ambu rose more than 7 per cent, making it the biggest gainer on the STOXX 600, after the US FDA said products produced by some of its rivals had higher than expected levels of contamination. French media conglomerate Vivendi closed at a more than 11-year high after it posted higher first-quarter revenue and said it was forging ahead with the planned sale of up to 50 per cent of its UMG music arm. The biggest drag on the STOXX were basic resources stocks with London-listed shares of Rio Tinto falling more than 1 per cent. The mining company is due to release its production data for the March quarter later in the week. Finland’s Nokia weighed on the Helsinki and the eurozone blue chips index after Goldman Sachs downgraded the stock to “sell”. Nestle, trading without entitlement to its latest dividend payout, dragged down the food & beverages index. Wall Street has lost ground, dragged down by financials as underwhelming bank earnings curbed investor enthusiasm. But while all three major US stock indexes edged lower, the S&P 500 remained within a per cent of its record high. 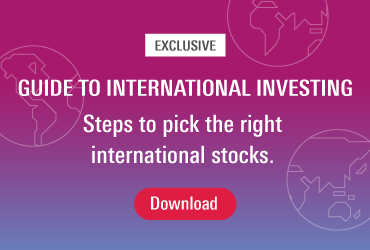 Following a January-March rally that marked the US stock market's best quarterly performance in nearly a decade, stocks had been in a holding pattern in April ahead of first quarter reporting season. 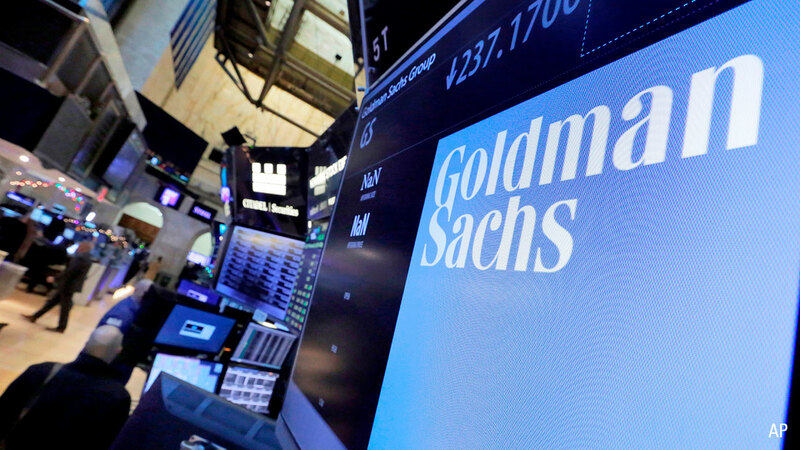 Goldman Sachs dipped 3.8 per cent after the investment bank's first quarter revenue came in below analyst expectations. Citigroup posted higher-than-expected earnings as cost-cutting offset falling revenues. Its shares ended the session nominally lower, dropping 0.1 per cent. With first quarter reporting season shifting into high gear, analysts now see S&P 500 companies posting a 2.1 per cent year-on-year decline in profits. While an improvement over recent estimates, it would still mark the first annual decline in earnings since 2016. Bank of America, Morgan Stanley, Netflix, Johnson & Johnson, Textron, Honeywell International, Schlumberger NV and American Express are among the closely-watched earnings expected this holiday-shortened week. Sources said US negotiators have softened their demands that China curb industrial subsidies as a condition for a trade deal, marking a retreat from a core US objective. The Dow Jones Industrial Average fell 27.53 points, or 0.1 per cent, to 26,384.77; the S&P 500 lost 1.83 points, or 0.06 per cent, to 2,905.58; and the Nasdaq Composite dropped 8.15 points, or 0.1 per cent, to 7,976.01. Financials were the biggest percentage losers, closing down 0.6 per cent and snapping their three-day winning streak. Waste Management rose 2.4 per cent following its announcement that it would buy smaller rival Advanced Disposal Services for about $US3 billion ($4.2 billion). Boeing slid 1.1 per cent after US President Donald Trump tweeted that the plane-maker should fix and "rebrand" its 737 MAX jet. Lyft extended its slide, falling 6.3 per cent. The ride-hailing platform, which had its market debut in March, is now trading about 22 per cent below its $US72 offer price.